this is a great red image - last one! @shannejw Am so happy it's the last week!! Striking against the red background. 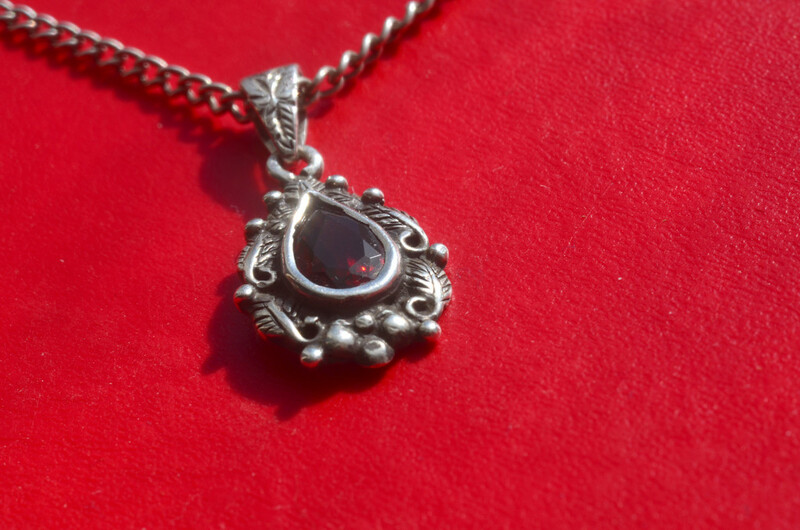 The ruby tones shimmer in the stone. Hi your get pushed for this week. You are busy with the rainbow, so what do you think of a abstract photo with a lot of different colors. I hope you like it. Have fun. Great one for the calender! Great red background and a beautiful capture of this lovely necklace. @tstb13 Thanks Tina, am on the case! Lovely detail - and also a super red!